I recognized the black and tan dog at once, even though she had noticeably changed - she had put on weight, and was far less skittish as we approached. But there she was, two years later, thriving in Lopare - the first village in Bosnia to have completed our Humane Community Development plan. It was obvious that she was being well cared for. And while we could see the changes in her appearance, a far more profound change remains invisible - the way the community thinks about dogs. When I first met this dog - whose name, I discovered, is Dalina -she was nursing a litter of puppies on a construction site. Of course, she had friends in the community, like Nadja, the dedicated woman who took her to be spayed. But prior to the start of Humane Community Development here, the compassion shown by dog lovers was often met with scorn and ridicule by other members of the community. In a country still recovering from a devastating civil war that raged through much of the 1990s, dogs are often seen as a threat to be disposed of. As we have all learned, however, once a community starts addressing its dog problems, a whole host of other problems can be worked out as well. IFAW's work in Lopare began two years ago. We had been contacted by the United Nations Development Program (the UNDP), who have been helping the people of Bosnia to resolve human security issues. 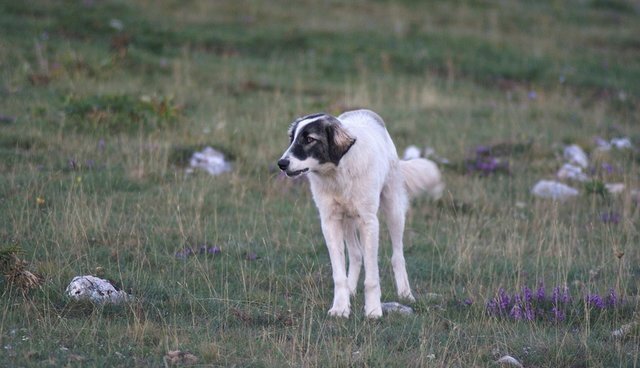 To their surprise, many communities were ranking roaming dogs near the top of their security concerns. People were being bitten, people were afraid of rabies, people were afraid of dog packs. We had just begun a new project called Humane Community Development in Chile, and we thought that this approach could also work in Bosnia. The first champion of this project in Lopare was the mayor, Dr. Rado Savić. He seemed to understand the relationship between dog welfare and human welfare almost immediately. 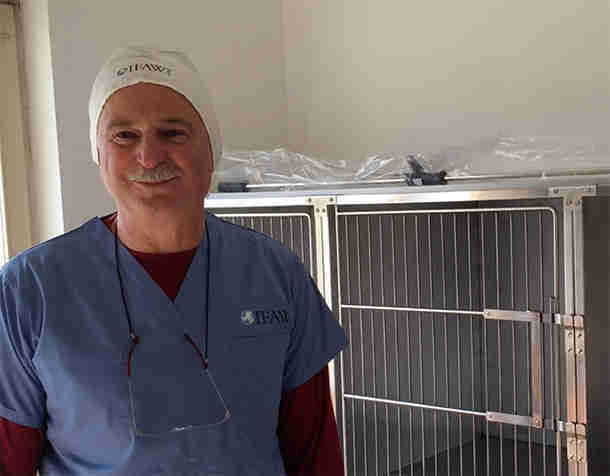 In fact, he was the first to take his dog to be neutered by Zoran Jokić, the municipal veterinarian. And as the Humane Community Development process was rolled out, Lopare's dogs gradually gained more and more allies, until the whole community agreed that healthy, happy dogs make for a healthy, happy community. Humane Community Development begins by bringing all the community stakeholders together to share their different perspectives on dogs. As the workshops progress, it's uncanny how light bulbs begin to switch on for all participants. Rather than seeing a dog problem, participants start to see how people problems contribute to the dog problem. But this change in understanding is only the first step. Through more workshops and data collection, the community comes together to define their priorities and build a plan. By bringing stakeholders from all segments to work together on a single problem, Humane Community Development has actually begun to help heal the wound in human relationships still evident in Lopare twenty years after the war. For Lopare, the plan focused on improving the health of both owned and unowned dogs. But the rural village needed help with some equipment provision. With the UNDP and the Fund Hugo International for Respect and Dignity in the Relationship with Animals as our allies, we were only too happy to help. We provided humane handling training for Lopare's fire department. The primary school received IFAW's Animal Action Education materials, translated into Bosnian, which now form part of lessons in biology, environment, and even democracy. A trailer to transport dogs was procured. And the veterinary clinic was outfitted with modern sterilization equipment and new, stainless steel recuperation kennels. Of course, we knew that Zoran would make use of the equipment - but we were overjoyed when he showed us the clinic. With a toothy grin and sparkling eyes, he gave us a tour bursting with pride. The clinic is spotless, with bright green walls to welcome and reassure the most nervous dog and owner, and over twenty dogs have already been sterilized through the program. The vet clinic was the backdrop for a ceremony that marked the implementation of Lopare's plan. News media from across the country were there. Mayor Rado Savić, UNDP representative Amela Cosovic-Medic, and IFAW's own Kate Atema presided over the ceremony. Participants in the Humane Community Development workshops received certificates marking their completion of the program. According to Mayor Savić, this is most successful development program that has come to Lopare since the end of the tragic civil war in 1995. But the success of the program depended entirely on the community's dedication to the process - and the sense of accomplishment was palpable on that sunny day in March, as people from all walks of life came to celebrate a new relationship with their community's dogs, and with each other. After the ceremony, as our van pulled out of the town of Lopare on the way back through the mountains to Sarajevo, I felt a strange mix of sadness, admiration, and relief. Sadness because this will be one of the last times I visit Lopare, although I'll be back in a year to help them evaluate their success and adapt their plan accordingly. Admiration for resolve the community has shown to humanely address their community's dog problems. And optimism because I know that, with all the positive changes I have seen, Lopare is on their way to building a happier, healthier community - all through a new way of seeing their animal friends.